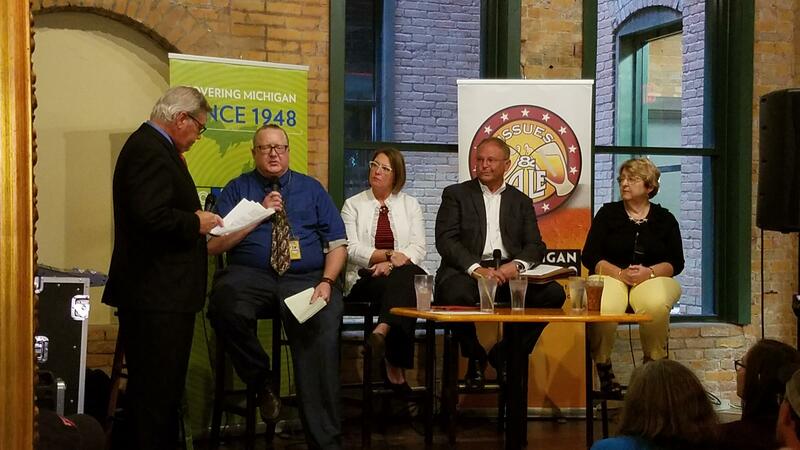 Michigan Radio’s Issues & Ale discussion series traveled to Toledo Monday night for the station’s first event of this kind in Ohio. The event took place at Black Cloister Brewing Company and focused on Lake Erie’s toxic cyanobacteria blooms and the safety of Toledo’s water. 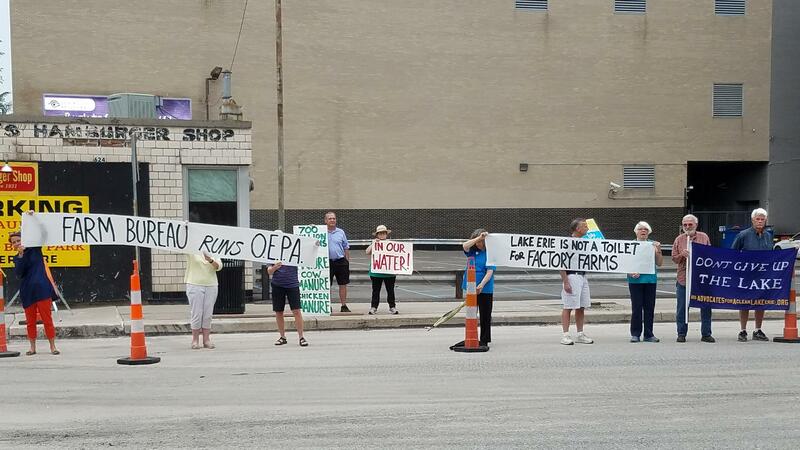 It’s a hot button issue for many area residents, as more than a dozen protesters showed up before the event to express their displeasure with the Ohio EPA and their handling of the situation. Excess phosphorus and nitrogen in the water is considered to be the cause of the harmful blooms in Lake Erie that continue to be a problem every summer. Much of that phosphorus can be traced to the use of fertilizer and manure from farms in the Maumee River watershed. Host Lester Graham (left) along with panelists Tom Henry, Yvonne Lesicko, Karl Gebhardt and Sandy Bihn. For the full conversation, listen above.